5.Used for: Various mini DC converter circuit board, LED, Power IC, Transistor etc. Please make sure that the size of the heatsink fits that of your component. It reduces the risk of hardware failure due to overheating. The fins increase the area of the board and thus provide for greater heat transfer. 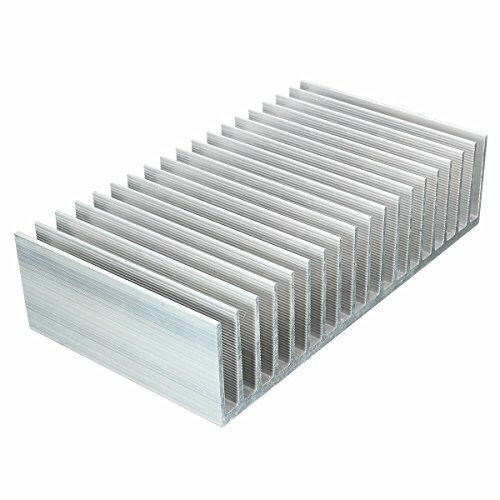 Aluminum IC heatsink for power transistor, FET, IC, power amplifier, Voltage Regulator, MOSFET, SCR, etc. If you have any questions about this product by ELEGIANT, contact us by completing and submitting the form below. If you are looking for a specif part number, please include it with your message.